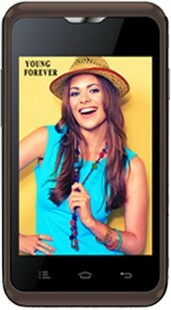 The Celkon Campus A359 price in India starts with a price tag of INR 2200 and goes on depending on the market flux. The Celkon Camus range of smartphones is targeted to cater to the crowd who does not wish to spend a fortune on their new phone purchase. The Celkon Campus A359's specifications include the presence of an Android KitKat operating system that is seated on a single-core 1GHz processor. The 256MB RAM the phone comes with facilitates the multitasking activities of this device. The Celkon Campus A359 is not the best phone to go for if you wish to experience a true Android experience as the specs are meager. However, if you are looking for a phone as a backup device, this could be the right fit for you. Celkon Campus A359 full specs and reviews as of Apr 2019. Buy it here!